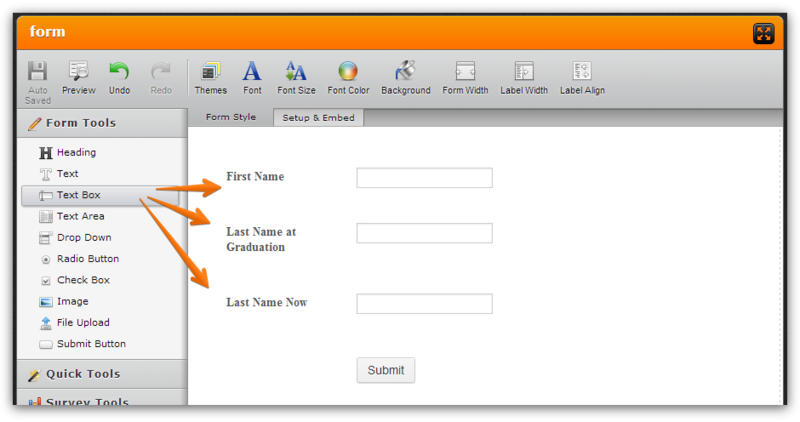 How to add three names field to the form, "First Name", "Last Name at Graduation" and "Last Name now"? I hope this helps. Inform us if you need further assistance with this query.